Perfect lipo upgrade for Syma X5C and the Syma X5C-1 Quadcopter. Get longer flight times, more power, and more cycles. 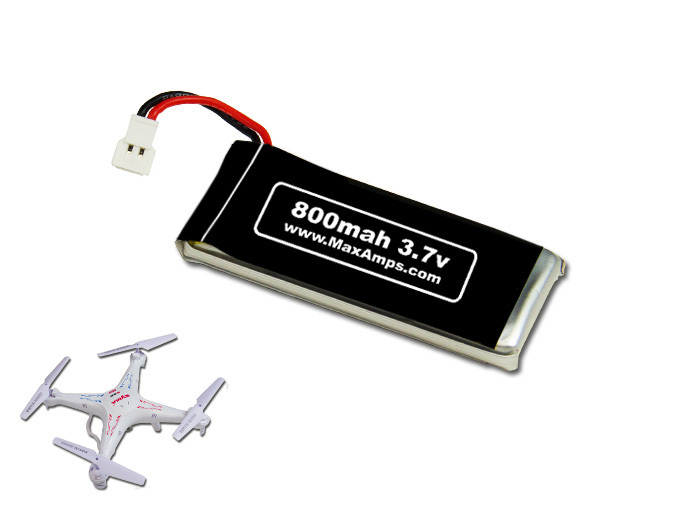 The stock battery in the Syma X5C and Syma X5C-1 Quadcopter is 500mah. This MaxAmps upgrade battery for the Syma X5C is 800mah. That is over 50% more capacity for longer flights and better performance. Plastic nub at rear of battery compartment must be removed with scissors for this longer battery to fit (click here to watch instructional video). Excellent product, it extended by almost twice the time!! Great little lipo upgrade for the Latrax quad heli.